“We are pushing this together with Singtel. To deliver this we need merchants and users on board; we have already achieved this today. I’m way ahead of the 18-month deadline,” he said, on the topic of meeting the deadline given by the Prime Minister. Apparently, this partnership will see RazerPay being launched on the “back of the tie-up”, as they “plan to link their respective e-payment systems to create an interoperable network”. This comes after news of its intention to acquire payments platform MOL Global in an approximately S$81 million deal just last week, which includes taking over MOL Global’s 1 million offline payment points. 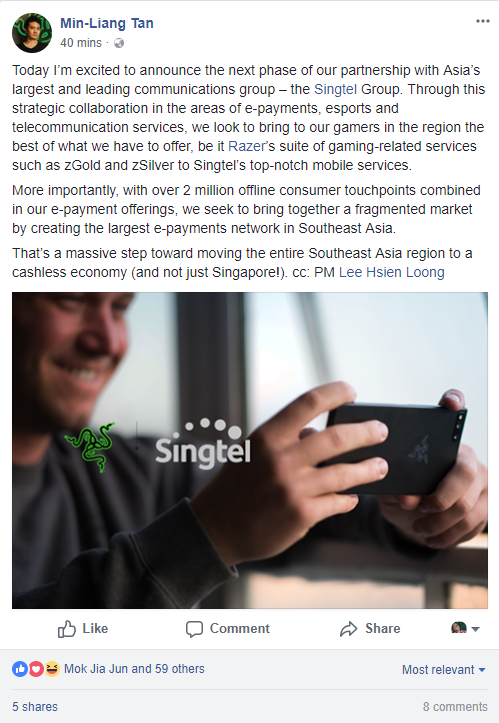 The report went on to say that Singtel and Razer will work together to “jointly organise e-sport events and content to target the telco’s 680 million-plus mobile subscribers in the region, including Thailand, Indonesia and India”. 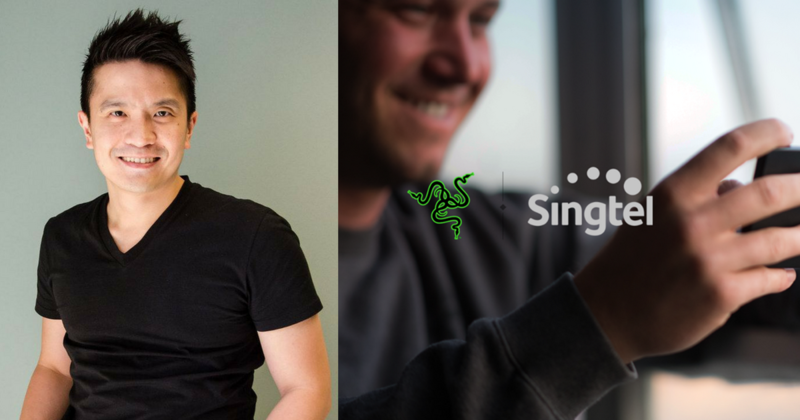 The e-sports industry in Singapore and the region is looking promising now, and we’ll have the implementation of RazerPay to look forward to soon.